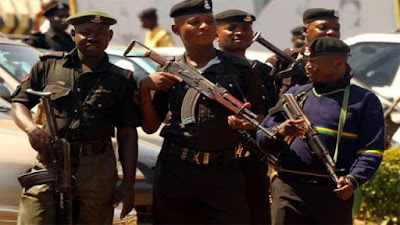 Police in Lagos State have arrested a woman for allegedly throwing her seven-month old premature baby into a septic tank over the weekend at Amukoko, Ajegunle area of the state. It was gathered that the 28-year-old suspect, identified as Arabe Basi, conspired with a woman called Iya Mana, who injected her, after which, she was delivered of her baby. She was said to have immediately thrown the baby into a septic tank. The incident occurred on Saturday, July 28, No 12, Edidi Street, Amukoko area of Ajegunle. The suspect allegedly ran away, but the police later rearrested her from her hideout. According to an eyewitness, Miss Adebanwo Adeola, they were in their house at about 6:00a.m. when the woman came to their area as if she wanted to fetch water from the septic tank. She said: “Suddenly, the woman brought something that looked like a baby wrapped in a white cloth and threw into the well. Immediately after she did that, she ran away. Confirming the incident, the Lagos State Police Public Relations Officer (PPRO), CSP Chike Oti, said the woman was arrested from her hideout after the incident was reported at Amukoko Police Station.